What’s Blooming Now? Winter Gardens! Brave the Cold & Explore! Visitors to public gardens value the colorful blooms in spring and summer, but there is still much to appreciate even during the cold, bleak winter months! Outdoor winter gardens and arboretums feature bright fruit, colorful & textural tree bark, steadfast evergreen backdrops, fantastic form & structure, and even appealing art & sculpture. Duke Farms: Hillsborough, New Jersey. Enjoy maple syrup straight from the tree at their Sugar Maple Celebration on February 23. Longwood Gardens: Kennett Square, Pennsylvania. The Topiary Garden is especially interesting at this time of year. Green Spring Gardens: Washington, D.C. area. 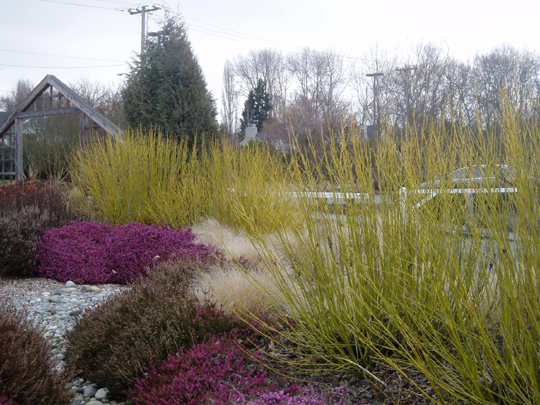 To learn more about some of the amazing plants that can add interest to your own winter garden, read my previous post here.